The VIDEX 1 Way surface mounted audio GSM kit with keypad is a simple to install GSM 1 button intercom that is suitable for one user residential properties or a small office. This kit can store up to 250 access codes dependent on the SIM card used and programming the unit is done either by SMS text messaging or by dialling into the unit using a telephone keypad. 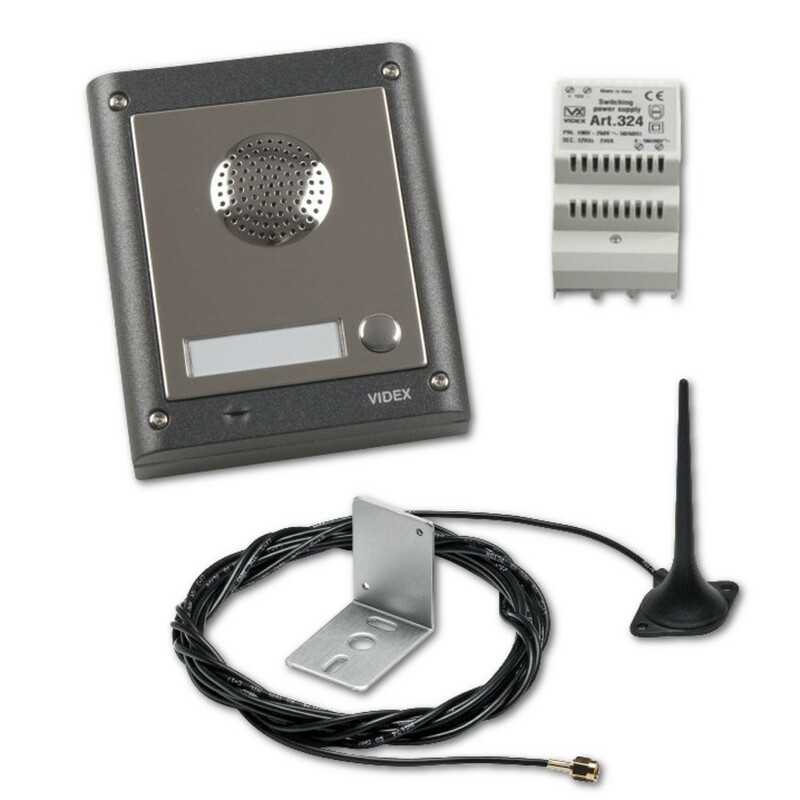 The VIDEX 1 Way Audio GSM Kit allows 2 way communication between occupant and the caller and is possible to open your gate while you are not at home.